Well, well, well…in a week I will be a 2 time marathon runner. Crazy. I don’t think I have fully realized what I have signed up to do next weekend. What I have realized is, how much free time I have on my hands and the excess of energy. I know the excess energy will likely increase as the week goes on and my mileage dwindles, but that’s taper life. I’ll be cutting back on caffeine to balance out the feeling of extra energy. Other than that, I plan to relax as much as possible after work and continue to eat well in preparation for next Sunday. Tuesday: 45′ easy, just a plain run home. 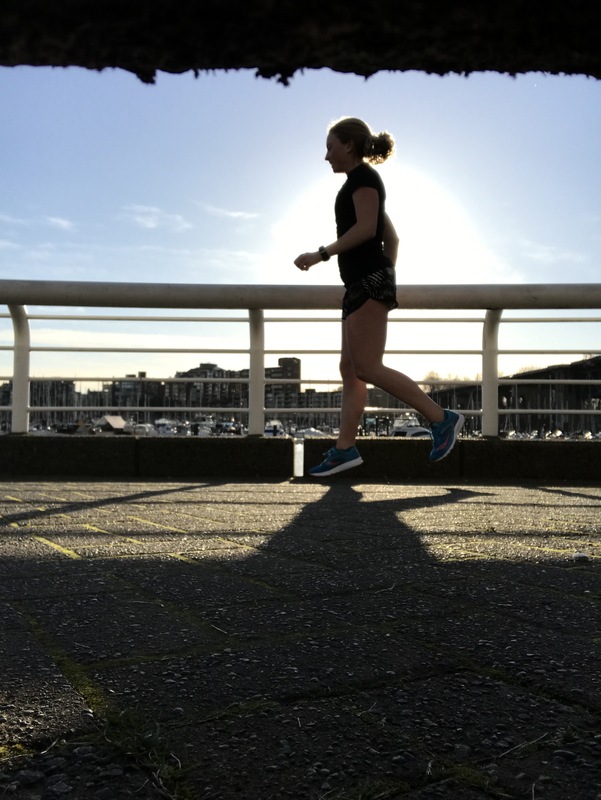 Wednesday: Group workout, we did 10′ easy, followed by 2 sets of: 3km@MP, 2km@HMP, 1km@10km, 10′ easy, this was about 16km and the final run/workout of this length. Thursday: 40′ easy, another plain run home. Friday: 30′ easy, I decided to run to work and get it over with. This was so I could go shopping after work and purchase a new GPS watch that actually tracks distance/pace accurately. I was too fed up with my old one after the realization that it does not work properly and was not willing to run a marathon relying on it. Saturday: Group workout, this was as short and sweet as they come. 10′ easy, 3km@MP, 3×90”@10km, 10′ easy. Sunday: 70′ easy, the rest of the runs will be super short from here on out! Any week that starts with the Boston Marathon is bound to be a good week, even if you aren’t a participant. One of my teammates participated and I was tracking her among others all morning on Monday and of course my IG feed was flooded with all things Boston. I didn’t think it was possible to increase my desire to participate in this event, but I was mistaken. Boston 2018, I’m coming for ya! This week marked the start of the taper and my mileage has declined significantly already. 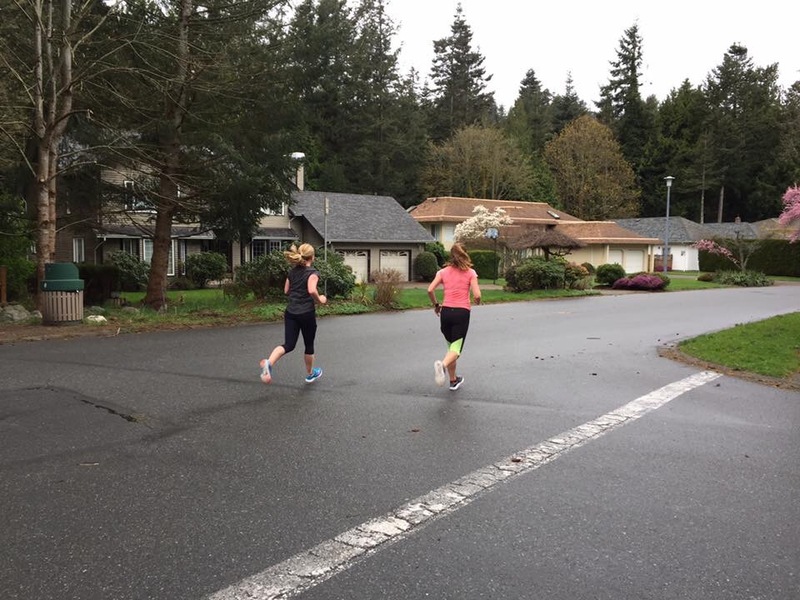 There are still runs and workouts, but they are much shorter than the previous weeks. Tuesday: 45′ easy, I also did an NTC core strength workout. 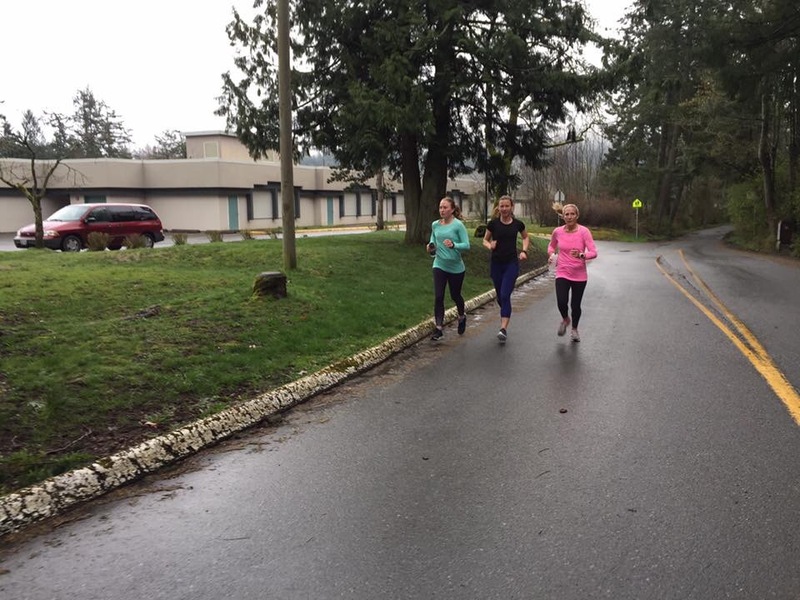 Wednesday: Group workout, 10′ easy, 10’@4;33, 1 mile @6:44, 1 mile @6:46, 1km @3:56, 30′ easy. Not sure how accurate these splits are as my running buddies’ watch said faster, but either way it was a solid workout. After this, I did an NTC abs and arms workout. Friday: 50′ easy, I got to hear all about the Boston Marathon from my teammate over coffee just before my run, leaving me inspired. When I got home, I did an NTC core strength workout. Saturday: Solo workout, 10′ easy, 8 sets of 3’@4:40-4:50, 1’@5:20-30, 30 easy, this was a much more chill workout than usual, and that was perfect since I was alone and the regular competitive vibe was missing. I did an NTC core crunch workout in the afternoon too. Sunday: Long-ish run, there will not be any more runs of this length, or longer until race day. I had 100′ easy and did a loop from home down to Dallas Rd for 18km. One of the fun parts about running is that you continually learn about yourself. Over the course of this training cycle I have made a few observations. 1) That I rely heavily on my GPS watch. There’s almost nothing better than finishing a hard workout and seeing fast splits on your watch. I already know from my effort that I worked hard, but there’s something about seeing the paces on that little screen that makes it even more real and exciting. It’s almost like a reaffirmation of the effort put forth. Additionally, perceived effort can change as time goes on, but once you stop that workout, the paces are locked in there on the watch and you can look back at them later and remember how the workout was. 2) I really enjoy training in a group. 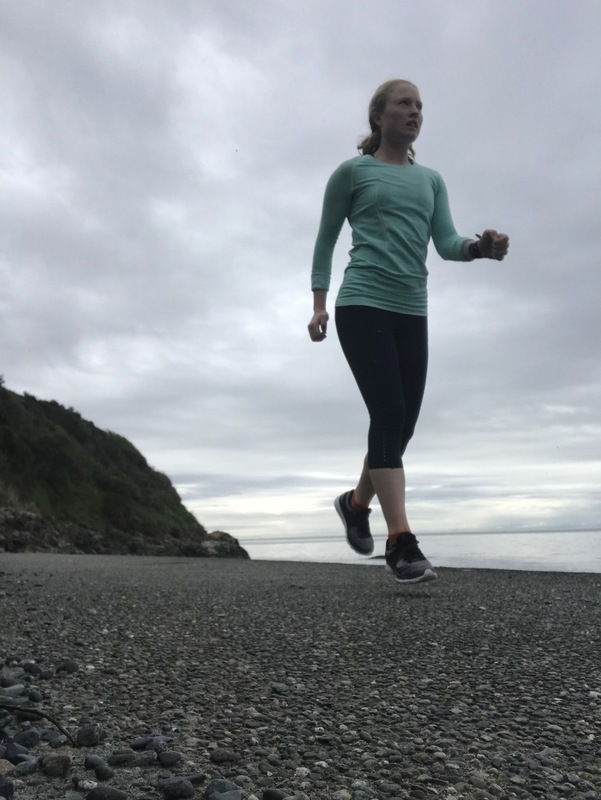 Last summer when I trained for the Victoria Marathon, it was a solo venture. I did all my workouts and long runs on my own. It wasn’t bad, I would still say I enjoyed it. This training cycle has been different. I have only done 1 workout alone, and I have had company during my long runs as well. This has been fun to the point where I don’t want it to end. The 3 of us “marathoners” have a very close relationship, we group text daily and look forward to our runs and time together. We are competitive, we support eachother, we laugh a lot and it’s always a good time. This is definitely my preferred way of training. 3) That my watch might not be working properly. This realization has come from all my time spent running with others. I can run with other people at the same pace the entire time and at the end of the run I will end up some 200-400m shorter than them. This might sound insignificant, but the type of personality that trains the way we do loves precision, accuracy and numbers. The other problem is, my pace will show as slower as my running partners. This happens during easy runs as well as workouts. According to my watch, I will almost always be the slowest one. In reality, I am either at the front or exactly on pace with everyone else. I know I’m fit and have had a great training cycle, but it’s still frustrating to not have a record of the exact paces I’m hitting. This has become a joke of sorts. First we thought someone had a generous watch (well we still do), but now it seems my watch is officially “slow”. 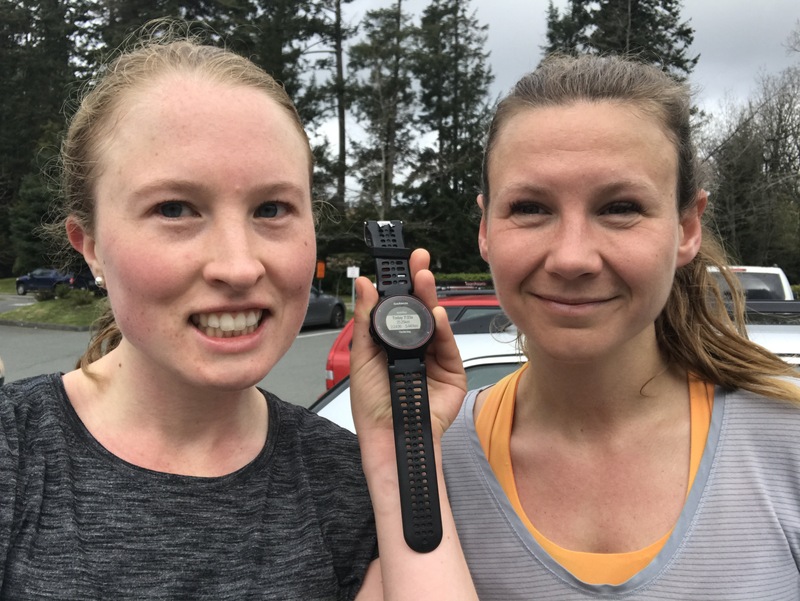 We have 1km, 1 mile, 2km and 3km markers on our regular workout run and last weekend we tested my watch and found it doesn’t register hitting those distances until after passing the marker by a number of metres. While I am looking for a solution with to this issue. So far, I have been instructed by the watch manufacturer to check my software (I already knew I had the up-to-date software), plug it into the computer and syncs it, then delete all the files on it. The next step is to test it again and see if there is any change. If not, “it may have to be exchanged”. Fun! What this has highlighted is the enormous reliance I have on my watch as stated in lesson 1. I admit, I rely heavily on my watch, but I don’t know what the alternative is. The paces are important to me, they provide a means of comparison and assessment of progress. My interest in this data might be borderline obsessive, but I think that might be a personality feature that that makes me a successful runner. It takes a lot of commitment and discipline, but I’m lucky to have found like-minded people who share these sentiments. Tuesday: 60′ easy, I ran towards Dallas rd and then back home. I also did an NTC leg workout (which was a mistake because I was super tight for the following days’ run, lesson learned). Wednesday: Group workout: 30′ easy, 4 x 10′ @ 4:30-35, 3 x 1km @ 4:20, 20′ easy. For some reason the slower intervals felt hard, but the km repeats felt great and I felt that I could have done more. Thursday: 70′ easy, I did my regular route out to Dallas RD and then home. I also did an NTC Core Strength Workout. 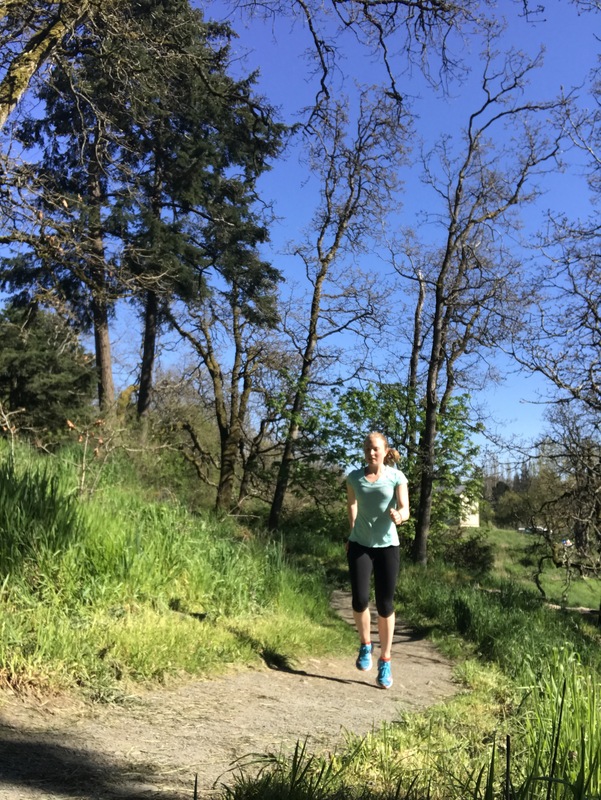 Friday: 30′ easy, I ran to work, not a regular thing, but I knew I was bringing home a bunch of cold-pressed juices to share with my fellow runners the following day! Saturday: Group workout, 45′ easy, 20’@5:00, 20’@4:50, 15’@4:40, 5′ easy. This was an it challenging by the end, but we worked hard and definitely earned the team brunch we had afterwards. I also did an NTC Abs and Arms workout. Sunday: 120′ easy, this felt short after last weekends long run, but I have a feeling next Sunday will be our final “long run” and probably 3 hours long. The first time I ran a marathon (Oct. 2016), it was about completion. Since I have one marathon experience under my belt, the goal this time around is to shave some time off. The question is: how much? Do I want to focus on JUST getting that BQ or do I want to try and really push it and go for a giant PB? I have had a good start to the year in the races I’ve participated in, 3 PB’s in different distances. My training has been consistent and my workouts have been strong. I think that sets me up well for the Eugene Marathon. The concern with running a much faster marathon is this notion of “blowing up” that other runners talk about. I have not experienced this myself, and I am not sure I want to take the chance of having it happen. If I were to plan on running fast and did end up “blowing up”, my BQ might be at stake. I don’t think I want to risk that. At the same time I think, sometimes you have to push yourself outside your comfort zone to get the results you are capable of. I do believe that to be true, I am just unsure of whether this is the race for that. Sometimes I wonder if expecting a BQ in my second marathon is a tall order. The reason I expect it is that I have worked hard and my first marathon wasn’t far off at all (3:35:16). I know I am more than capable of taking off the few requisite minutes to qualify and have a buffer. But I have been reading Long Road to Boston and the author felt prepared on many occasions but circumstances arose on each marathon and it took him 21 tries to BQ. I don’t like to think there’s that little control over the situation. I have commited to training, eating well, practicing race fuelling, and recovering, but still, there seems to be this sense of “anything can happen in a marathon”. There is exactly one month until race day, I plan to finish up the last bit of this training cycle strong and really embrace the taper. I still have time to decide how I want to race this event. So for now, I’ll keep doing what I’ve been doing and closer to race day make a decision taking into account the weather and anything else that might impact my race. Have you ever “blown up” in a race? What happened?